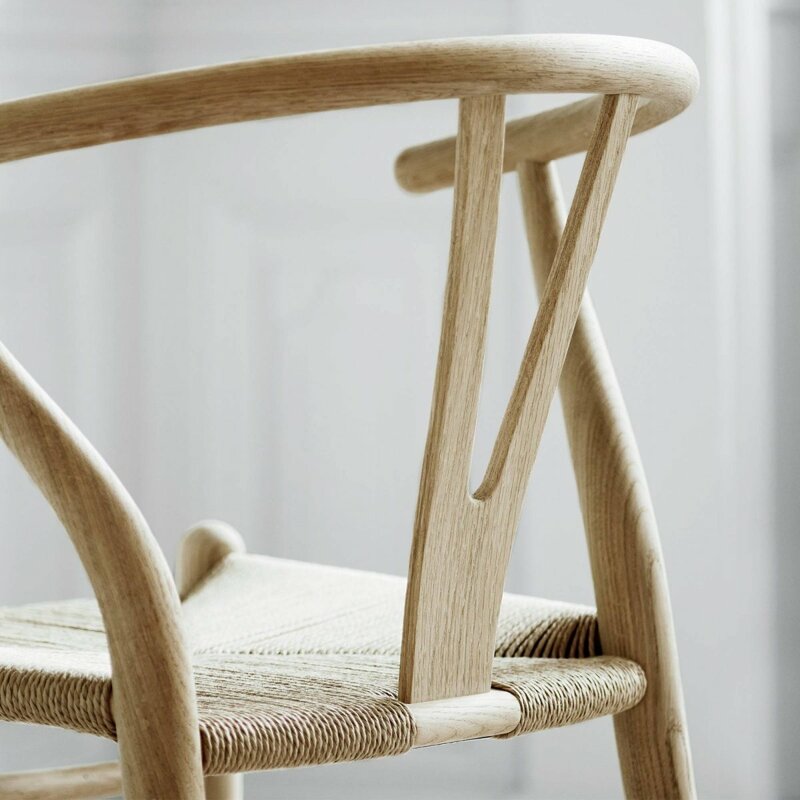 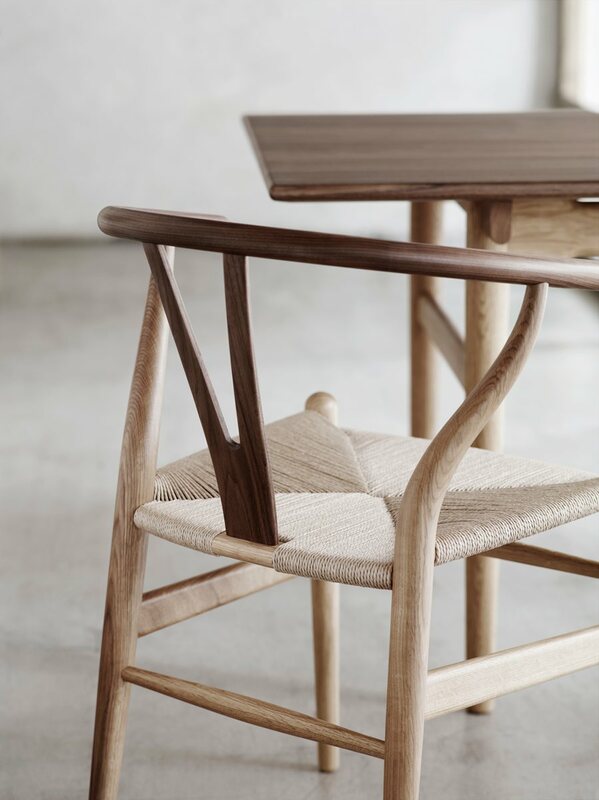 CH24 Wishbone Chair is a timeless wooden armchair made from solid wood and paper cord, designed by Hans J. Wegner for Carl Hansen & SÃ¸n. 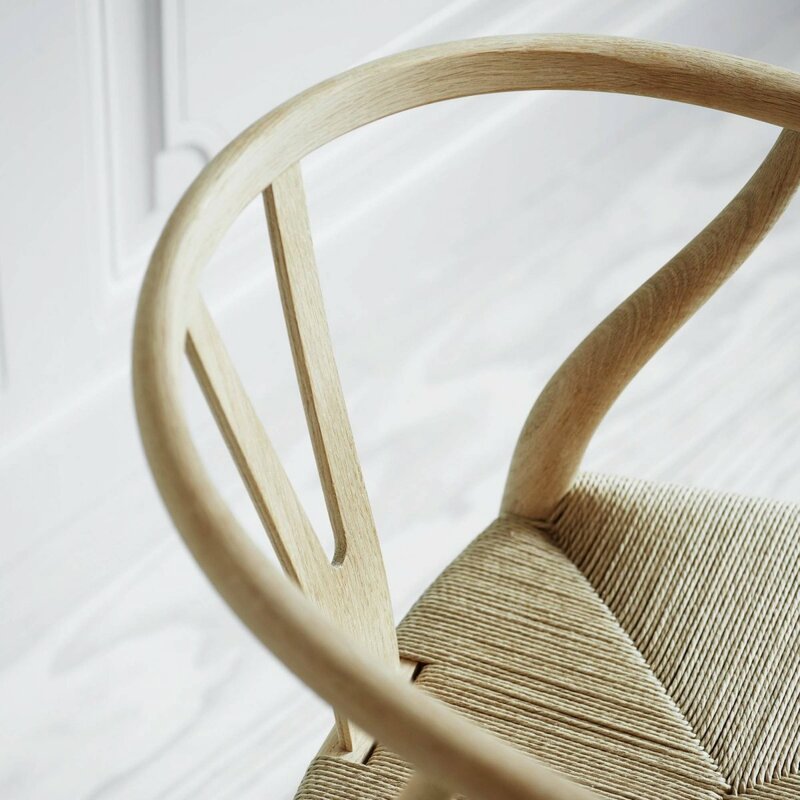 With a design that is uniquely its own, the Wishbone Chair holds a special position in the world of modern design. 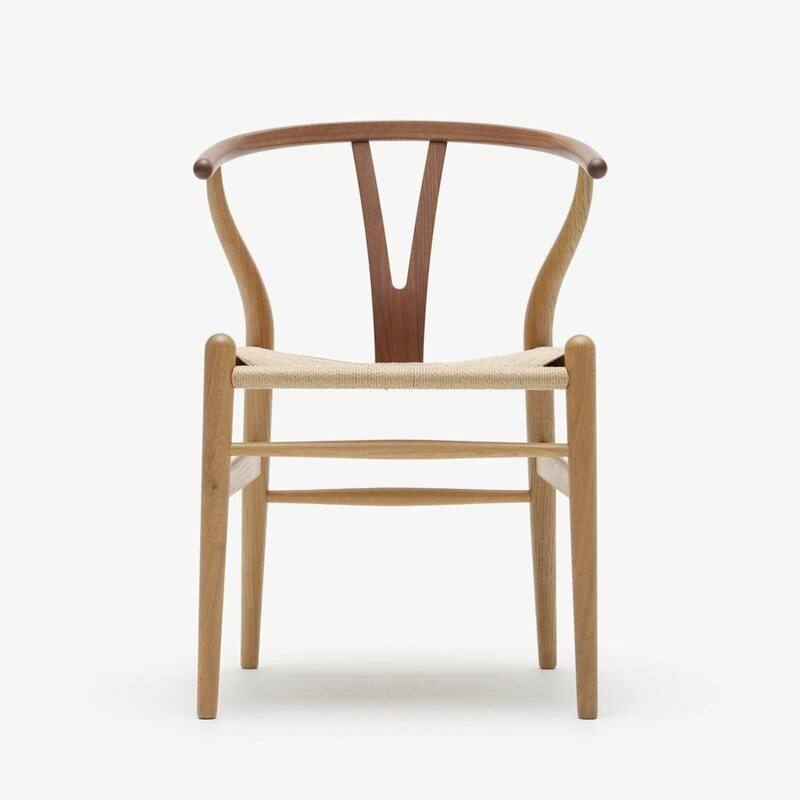 This iconic design was the last part of a Wegner series inspired by portraits of Danish merchants sitting in Chinese Ming Dynasty chairs. 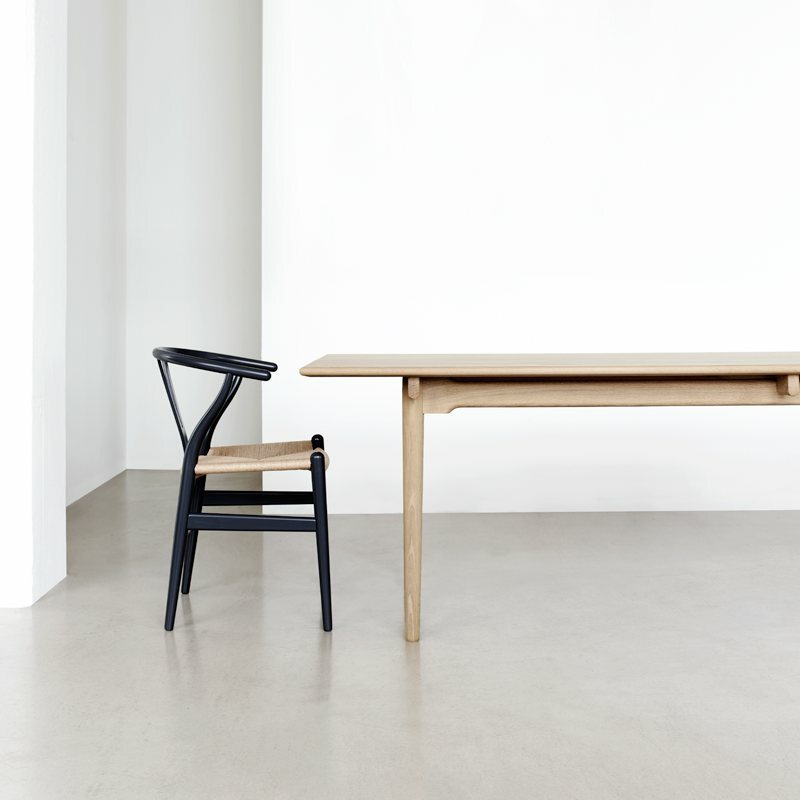 Wegner took a giant leap in furniture design with the series, combining the top rails and arms into a single piece. 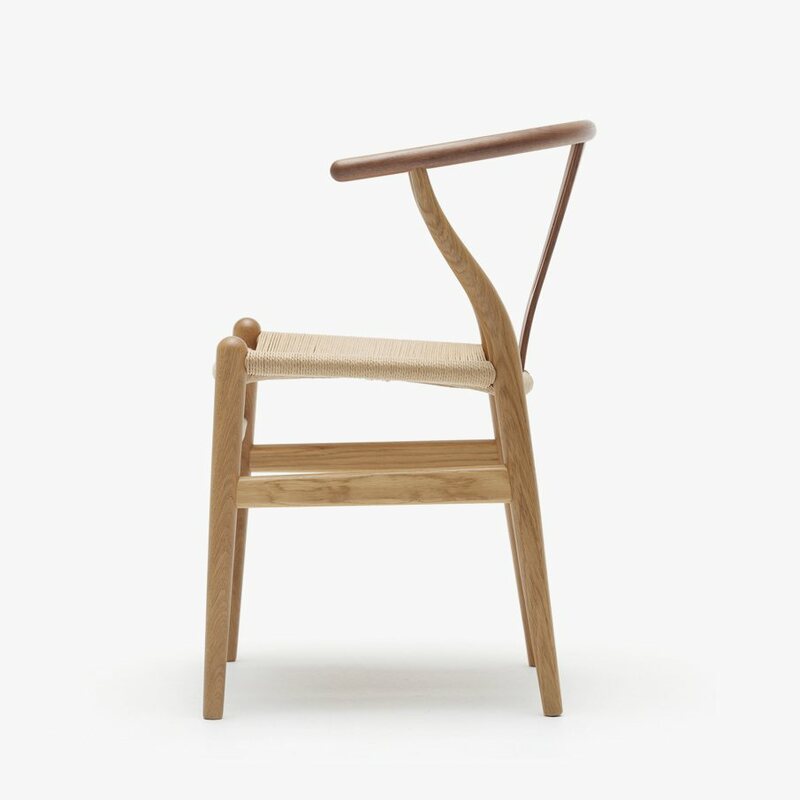 The characteristic Y-shaped back provides comfortable support while giving stability to the steam-bent top. 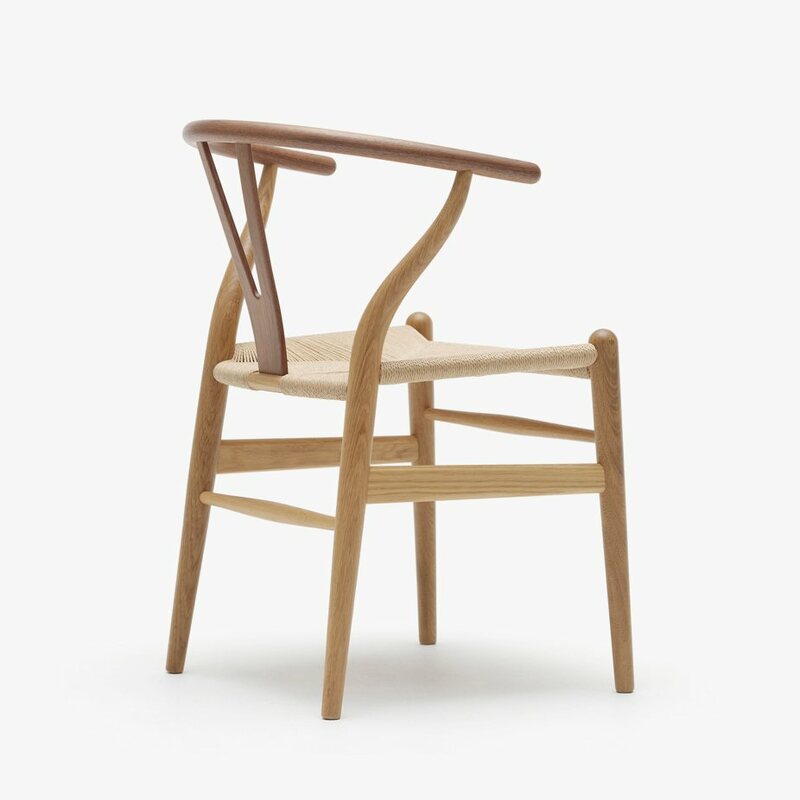 Many view the CH24 as an ideal chair as it fulfills the functional demands for comfort and stability while having a distinct look. 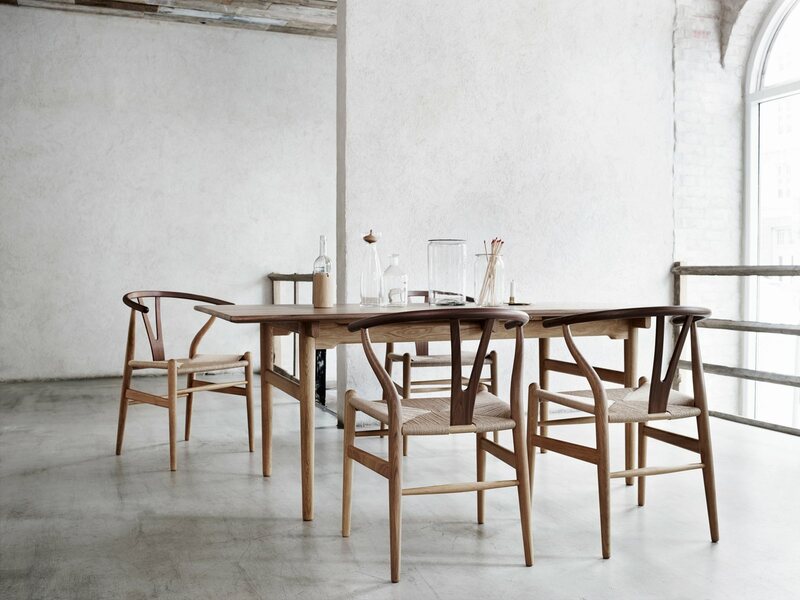 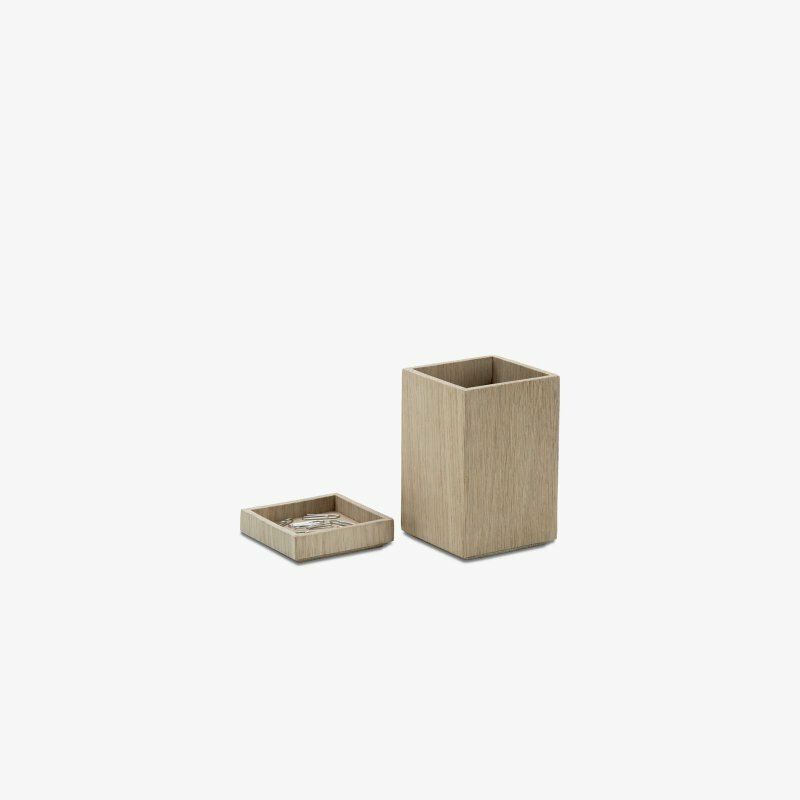 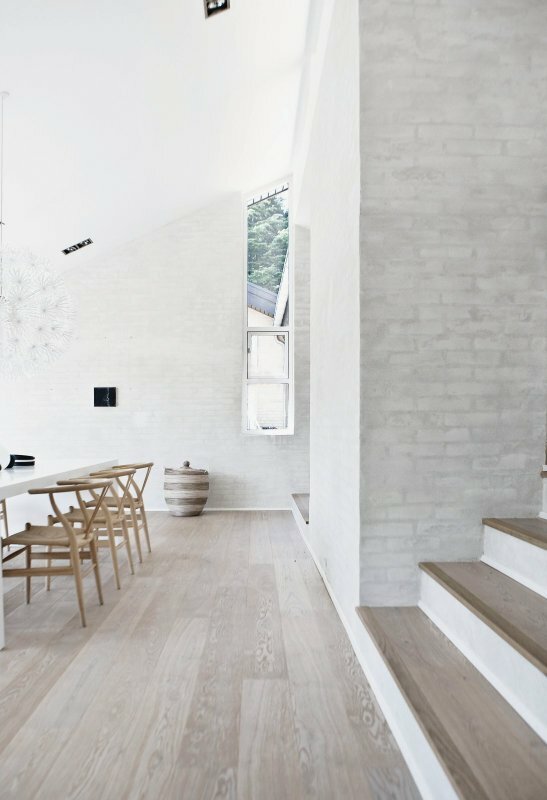 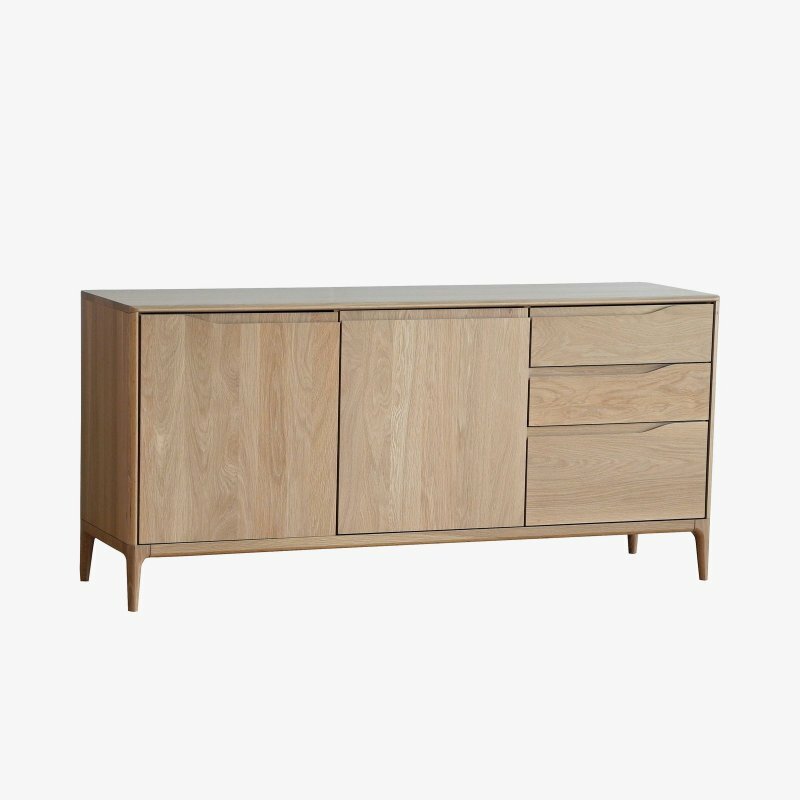 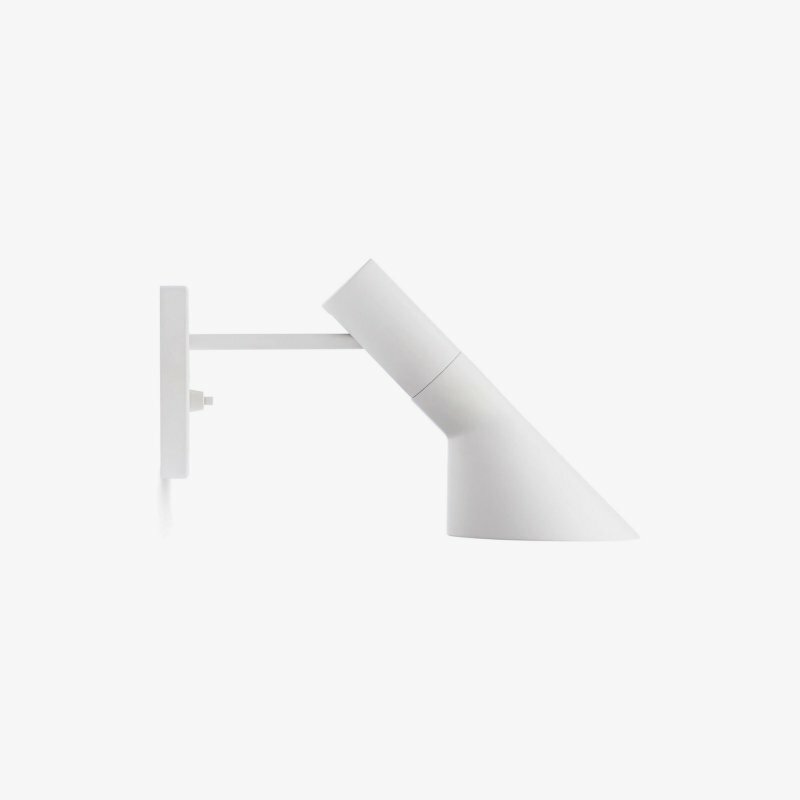 In other words: it captures the essence of modern Danish design.